Open House Saturday 8/15/15 from 2-4pm! Beautifully renovated 4 bedroom, 2.5 bath home in Colony Pines with new carpet & paint, renovated baths, updated kitchen & huge backyard. 1223 Powder House Drive in Newport News, VA is situated in an ideal location at the end of a cul-de-sac close to walking trails, playground, & conveniences. Minutes to Langley & Ft. Eustis. Special closing cost assistance available! Too many upgrades to list! 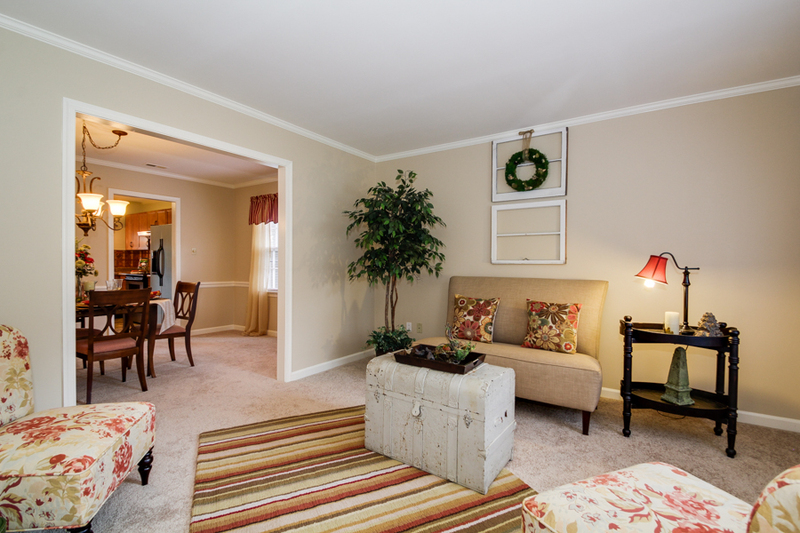 Fresh paint, new carpet, renovated bathrooms, upgraded kitchen, new light fixtures, and more! Stainless steel refrigerator and 1 year home warranty come with full price offer! No homeowner’s association dues and no flood insurance required! Hampton Roads Real-e-statement is written by Alyssa Godwin, a Realtor with Liz Moore and Associates. For questions on 1223 Powder House Drive, Newport News, VA 23608 contact Alyssa at 757-329-6161 or alyssagodwin@lizmoore.com. You can also find Alyssa on Facebook or on the web at www.lizmoore.com/alyssagodwin.